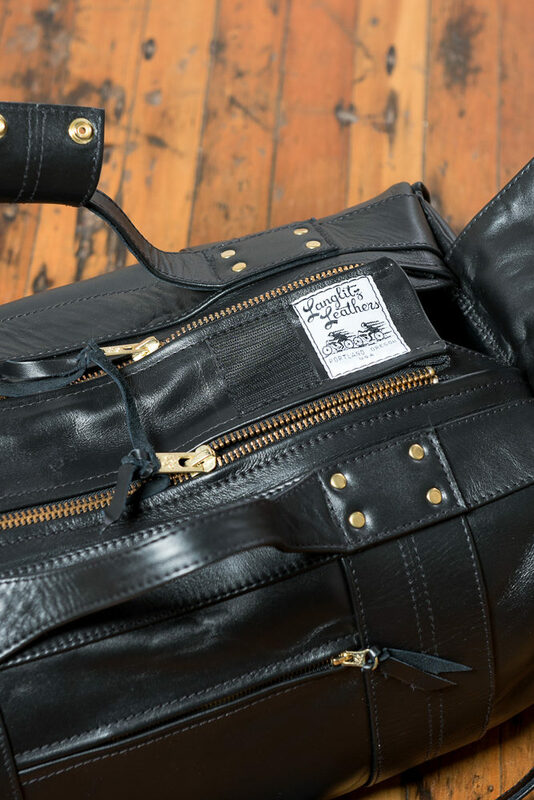 Our travel bags come in three different varieties. 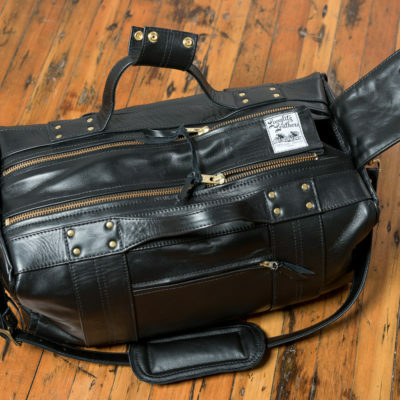 Small, Large, and Deluxe. 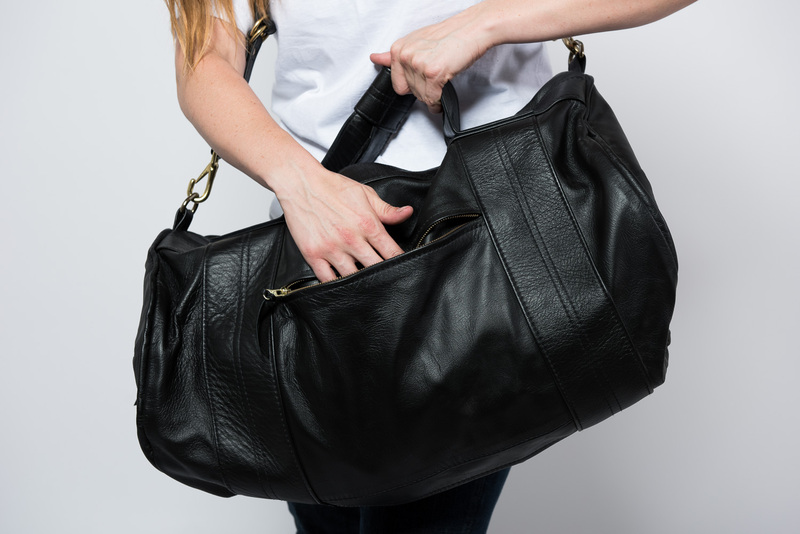 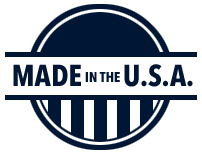 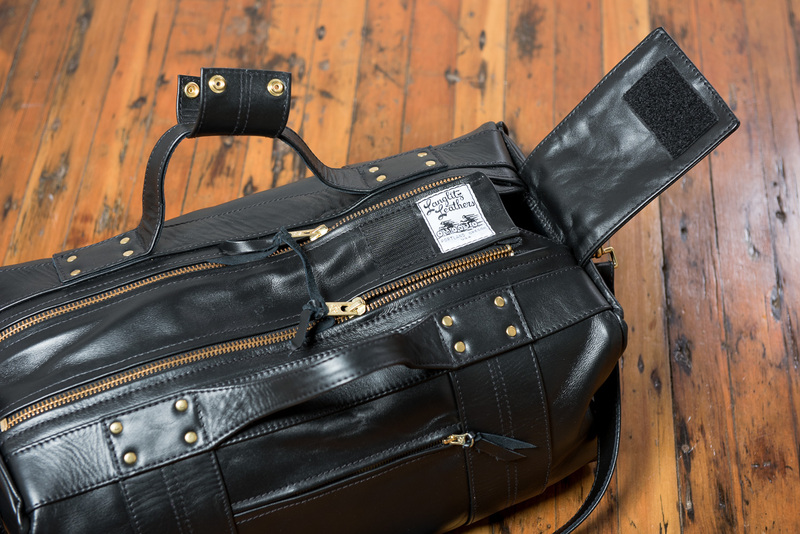 Our small travel bag measures approximately 9″ x 17″ while our Large version measures 12″ x 24″. 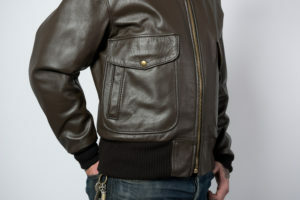 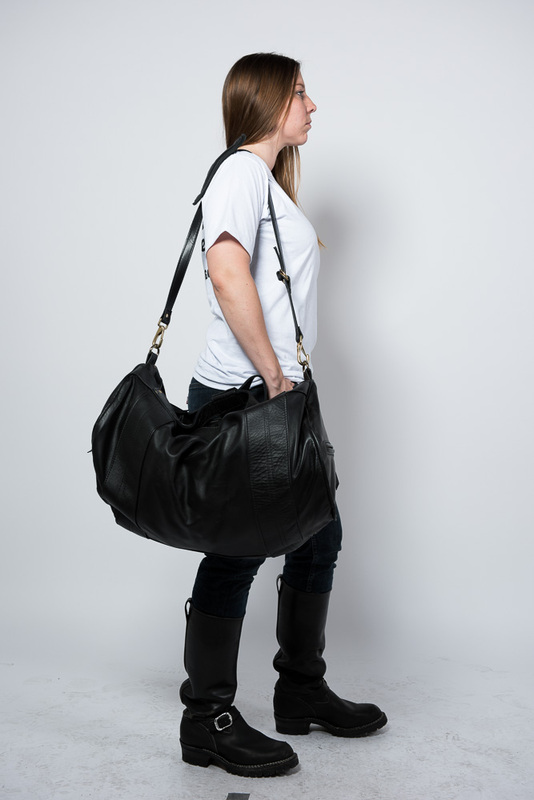 They feature a round profile and two pockets. 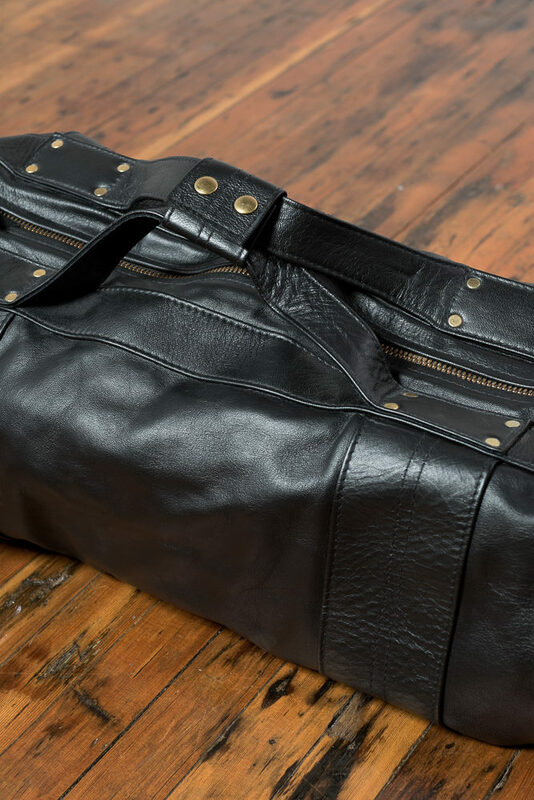 Our deluxe travel bag has a square profile, and measures approximately 10″ x 10″ x 20″. 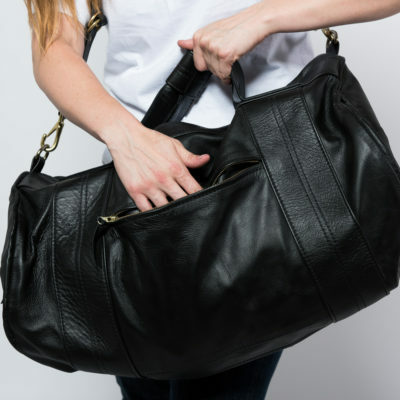 These bags have three pockets. 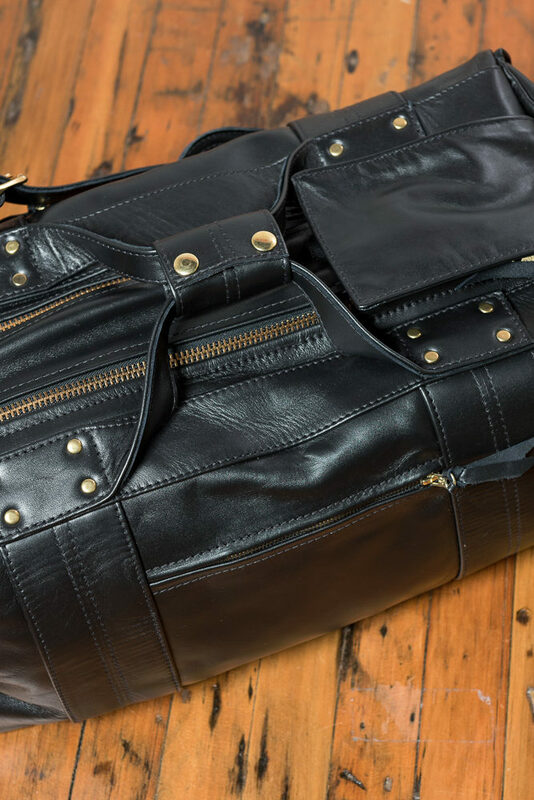 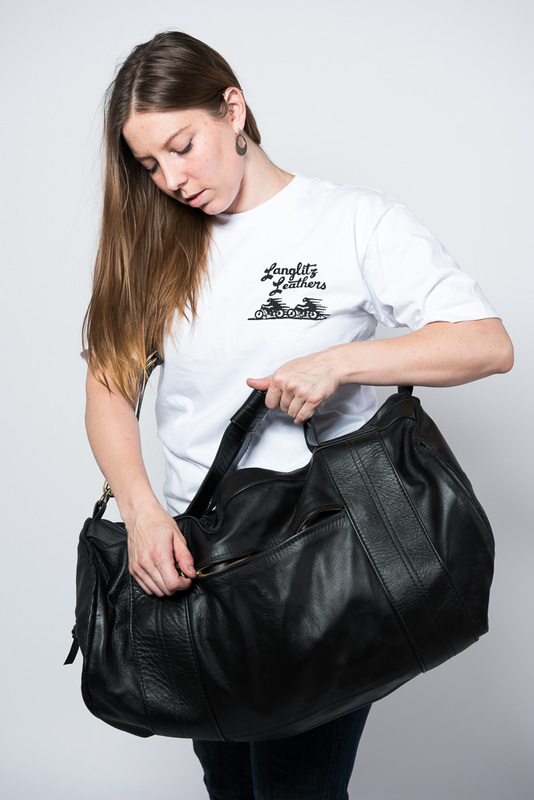 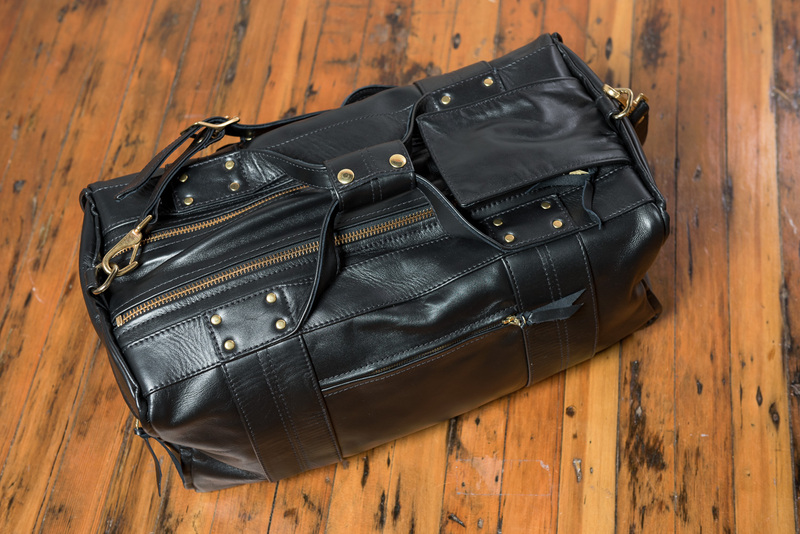 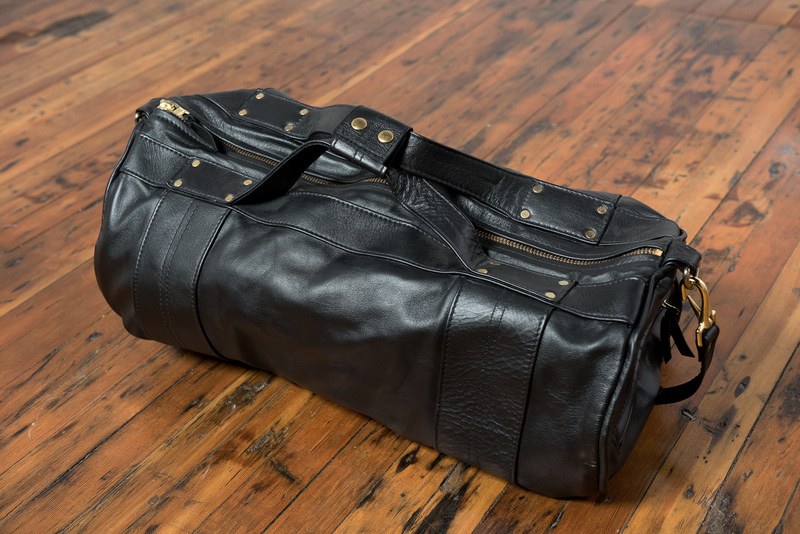 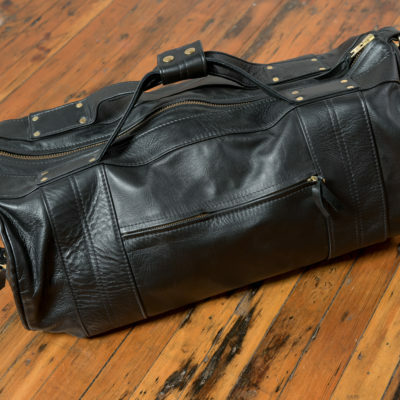 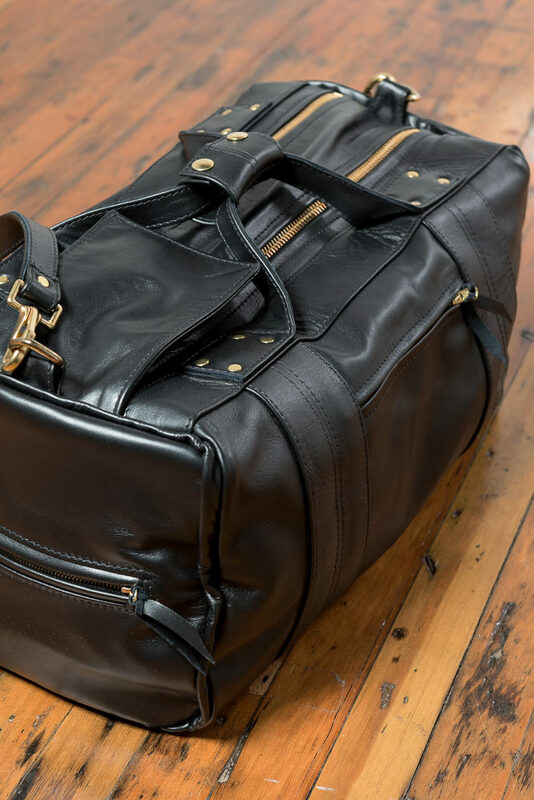 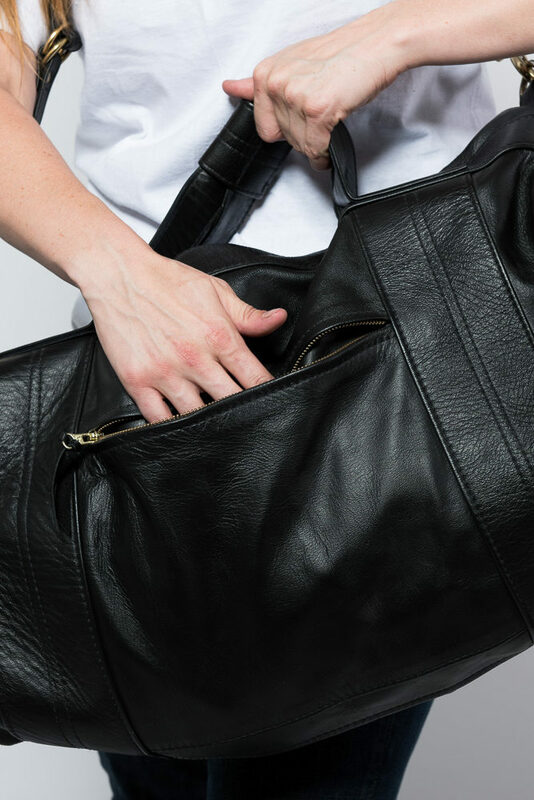 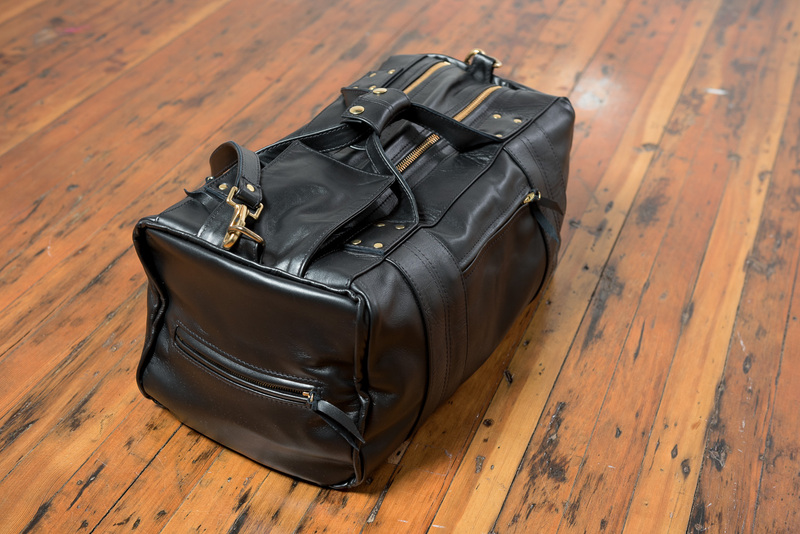 Travel Bags come in Cowhide or Goatskin – the same leather we use for our Langlitz jackets.